Photo by Samson Learn. Click to view gallery. 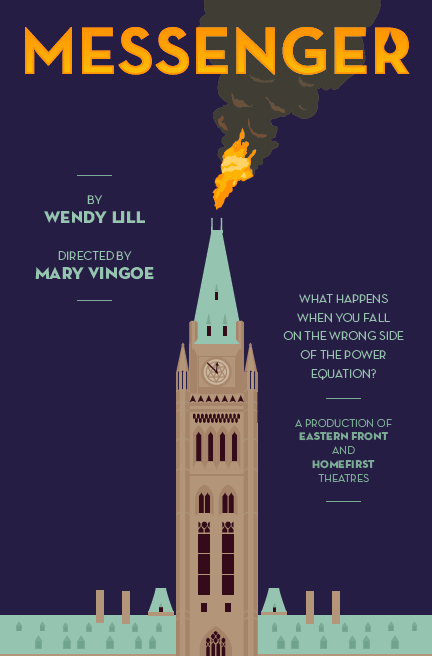 Messenger is a new play by award winning Nova Scotia playwright Wendy Lill. In 1990, Canada almost led the world on climate change. Messenger imagines how this goal got lost. Inspired by Ibsen’s Enemy of the People, the play follows two brothers: one the Prime Minister’s chief of staff, and the other a newly-minted, idealistic cabinet minister. The stakes are heightened by strong family loyalties that are tested by the crisis that ensues when one brother refuses to back down from what he knows is right. 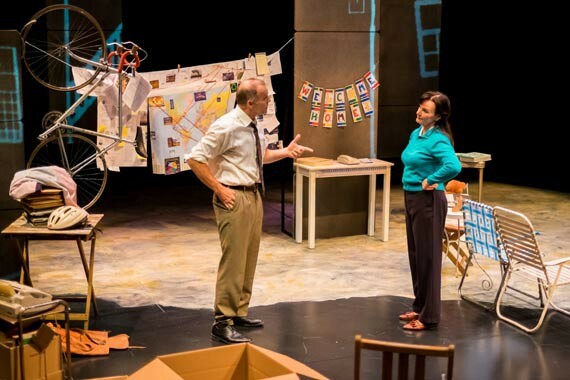 Read reviews of the production here (The Chronicle Herald) and here (The Coast). Check out behind the scenes interviews with the director and the cast.